Chalet 2 is now available for your next holiday! 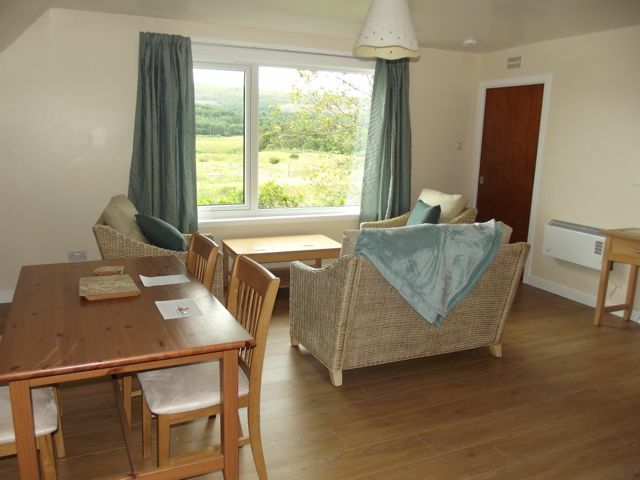 With the amazing views and modern comfortable interior it is ideal for a restful break. 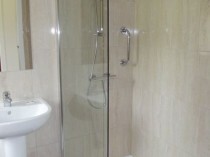 The chalet has level access throughout, with a walk in shower and is suitab le for disabled users. 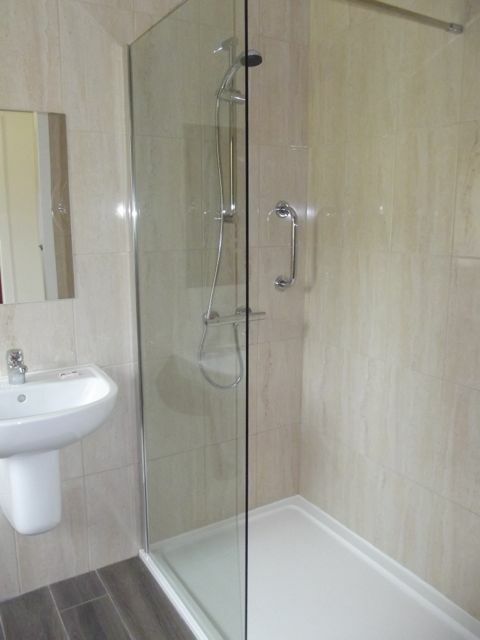 The maximum door width is 30 inches and therefore suitable for a standard wheel chair. 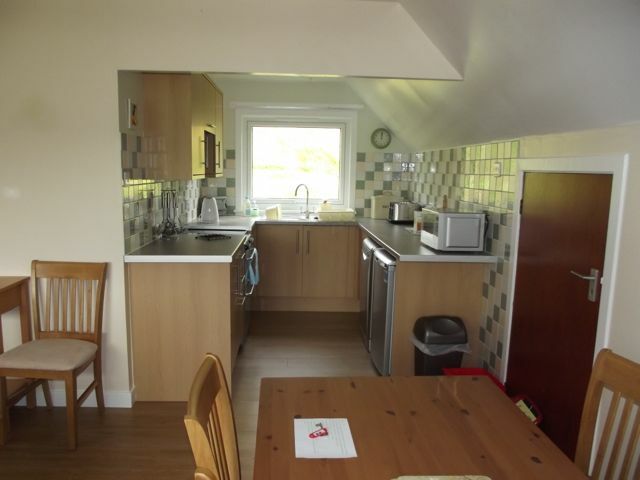 The kitchen has been completely refitted with wall cupboards and extractor fan over the cooker, and stocked with all the essentials for catering for your holiday – microwave, kettle, toaster, pans, china etc etc. There is a dishwasher for ease of washing up. The main bed room has an extra long bed so this may be the chalet of choice if you are tall. 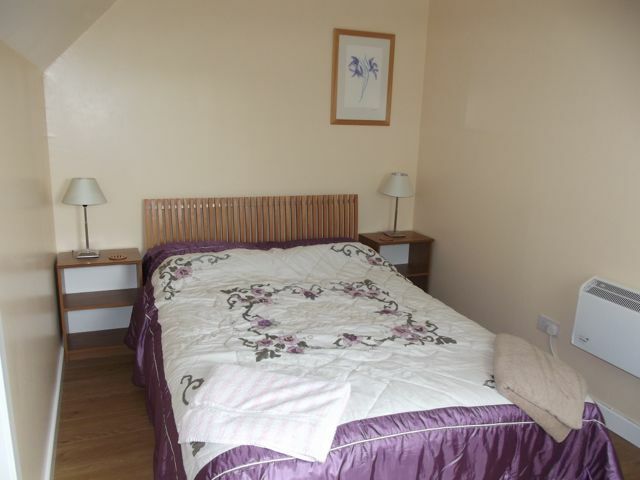 The smaller bedroom bunk beds as well as a single bed to cater for different peoples needs. 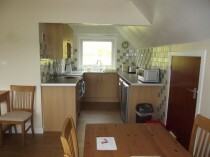 Wall heaters are fitted in the chalet with fans to provide a boost of heat when needed.